The restoration of a World War II submarine is expected to be completed next year. HMS Alliance, based at the Royal Navy Submarine Museum in Gosport, Hampshire, is undergoing a £6.75m revamp. The project, which was awarded £3.4m by the Heritage Lottery Fund, still has a shortfall of £200,000 and efforts continue to raise the cash. HMS Alliance is a Royal Navy A-class, Amphion-class or Acheron-class submarine, laid down towards the end of the Second World War and completed in 1947. 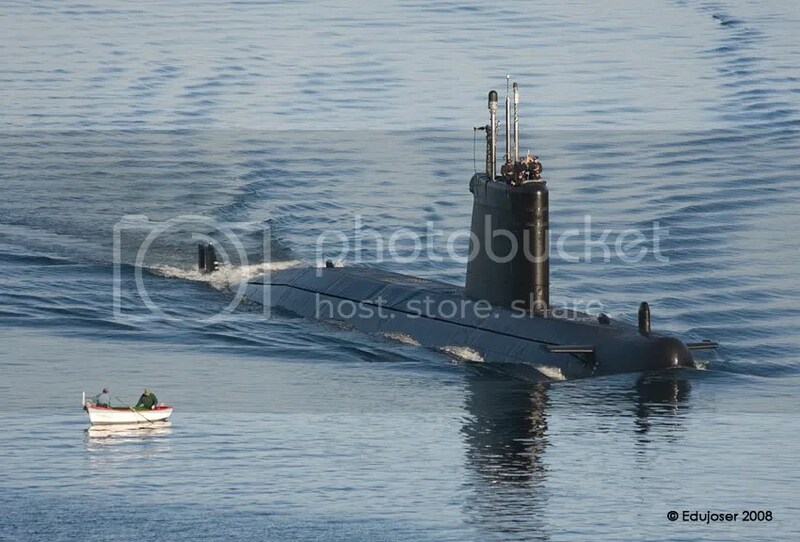 The submarine is the only surviving example of the class, having been a memorial and museum ship since 1981. The Amphion-class submarines were designed for use in the Far East, where the size of the Pacific Ocean made long range, high surface speed and relative comfort for the crew important features to allow for much larger patrol areas and longer periods at sea than British submarines operating in the Atlantic or Mediterranean had to contend with. Alliance was one of the seven A-class boats completed with a snort mast – the other boats all had masts fitted by 1949. From 9 October 1947 until 8 November the submarine undertook a lengthy experimental cruise in the Atlantic Ocean off the coast of Africa to investigate the limits of the snort mast, remaining submerged for 30 days. Between 1958 and 1960 Alliance was extensively modernised by having the deck gun and external torpedo tubes removed, the hull streamlined and the sail replaced with a larger (26 feet 6 inch high), more streamlined one constructed of aluminium. The purpose of these modifications was to make the submarine quieter and faster underwater. Following the modifications the wireless transmitting aerial was supported on a frame behind the sail; but was later replaced with a whip aerial on the starboard side of the fin which could be rotated hydraulically to a horizontal position. The original gun access hatch was retained however, allowing Alliance to be equipped with a small calibre deck gun again when serving in the Far East during the Indonesian Confrontation of the earlier 1960s. In May 1961 the pennant numbers of British submarines were changed so that all surviving submarines completed after the Second World War were now numbered from S01 upwards, and Alliance was given the number S67. On or around 30 September 1971 a fatal battery explosion occurred on board, whilst at Portland. From 1973 until 1979 she was the static training boat at the HMS Dolphin shore establishment, replacing HMS Tabard in this role. In August 1979, she was towed to Vosper Ship Repairers Limited’s yard at Southampton to have her keel strengthened so that she could be lifted out of the water and preserved as a memorial to those British submariners who have died in service. Since 1981 the submarine has been a museum ship, raised out of the water and on display at the Royal Navy Submarine Museum in Gosport. Although listed on the National Historic Fleet, Core Collection, in recent years as many as 100 pigeons have been nesting in the submarine, causing extensive corrosive damage. She also sits on cradles over sea water, adding to problems of corrosion and preventing easy and economical maintenance to her exterior. Urgent restoration work is required to save the boat, and a major restoration program is underway, which includes reclaiming land beneath HMS Alliance using a cofferdam and backfill. This will also provide easy access for future maintenance and new viewing platforms for visitors, additionally opening up the conning tower and casing. A new HMS Alliance gallery is also part of the project to help ensure visitors fully appreciate the significance of this submarine and what she represents. It was announced on 30 May 2011 that HMS Alliance would share in a £11 million Heritage Lottery Fund grant. Alliance will receive £3.4 million to repair her bow and stern and address extensive surface corrosion. Armament: Six 21-inch bow torpedo tubes (including 2 external dry close fit) Four 21-inch stern torpedo tubes (including 2 external dry close fit) 20 torpedoes carried (externals could not be reloaded at sea) Mark V mines could be launched from the internal tubes External tubes removed during streamlining/modernisation. One QF 4 inch Mark XXIII deck gun on S2 mounting One 20 mm AA Oerlikon 20 mm gun on Mark VII mounting Submarine was briefly fitted with a twin Oerlikon on Mark 12A mounting. All guns removed during streamlining/modernisation. 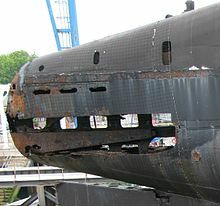 This entry was posted in UK Submarines, Video Clip and tagged Amphion Class, Gosport, Heritage fund, HMS Alliance, Submarine Museum, Video Clip, wikipedia on April 24, 2013 by jasonlockley.